When you first came to voice-over you may have thought it was all about the ability to parrot famous stars, create cartoony characters at a moments notice, or mimic any accent under the sun. While these talents and skills are impressive (and can be very useful), it may have surprised you to learn that they aren't the primary skills required to keep you steadily employed as a voice talent. The irony is that many of us spend six to eight years or more training to "become someone else" as actors, and the primary thing asked of us, once we're out in the field, is to "just be ourselves." 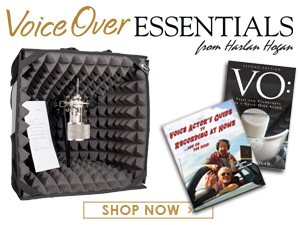 Or maybe you thought being a successful voice talent was solely dependent on having a remarkably mellifluous voice that cooed through every commercial, corporate narration, and announcement. As dull as it may seem at first, you being you is the most desirable thing you can be. You're the only one of YOU! Everything on the page should sound like it just occurred to you, rather than the client putting words in your mouth. Certainly, your ability to assume a believable point-of-view that may be a dramatic departure from your own is the job of every professional actor. Most often, with all affectations, accents, dialects, and heightened realities aside. If you're not working your performance muscle, it's going to atrophy, which means you won't be ready at a moment's notice. In order to consistently deliver dynamic choices with each take, every talent needs tools, techniques and training, and not solely at the onset of their career, but a couple times a year throughout their career. Training consists of proper conditioning. It's imperative you maintain a steady diet of supportive, honest, challenging training. Work with people who are better than you. A LOT better than you. People you admire and trust. And you must learn to self-direct. This is a keystone to good training because it's unlikely you'll get much direction at all on the job, especially considering so many voice-over auditions are done from home on your own. Leaving your work to go unchecked indefinitely will ultimately flat-line your opportunities. You're capable of a limitless number of amazing takes. However, if you sound like a broken record on every project, no amount of direction will help chip your best performance out of marble. No one is interested in hiring a robot. You're paid to have a pulse! Master the ability to create and think on your feet and stoke your imagination. You need a routine that conditions agility. That's how you maintain and develop your skills. 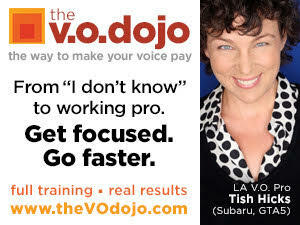 You can't work in voice-over without a demo, and nothing defines you more as a brand and a professional than a proper voice-over demo that will audition well for you when you're not there. So don't have a cheap attack when it comes to having your demo produced. Cheap can be very expensive. It could cost work and ultimately your reputation. There's a learning curve to recording and editing your auditions from home. Keep it simple. Find a quiet location in your home, even if it's in front of a closet full of clothes. If you have a reliable computer and stable Internet service, master how to deliver consistently competitive auditions - or you'll have a tough time establishing and furthering your career. Without access to the work, your best efforts will die on the vine. Can't have that. Dedicate yourself to landing a talent agent in your own region that specializes in voice-over, and a couple more agents in two or three additional regions across the country. It takes time, but well worth the commitment. If self-promotion is a dirty word to you, get over it. There are at least 100 people out there right now with a fraction of your ability who aren't afraid to promote themselves - and they're going to get booked. With every booking, they're going to get better and better, all because they aren't afraid to promote themselves, and they're going to keep landing work because they're making themselves known. So, quit stalling and get on with it already. You have to stand up to stand out. So get going! 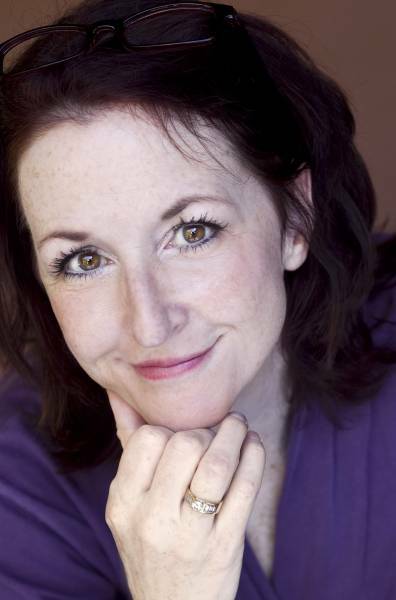 Kate McClanaghan is founder of Actor's SOUND ADVICE, a personalized voice-over coaching and demo production service available online world-wide. 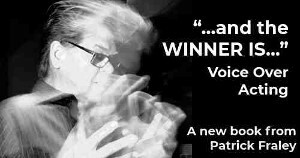 She has cast, produced, trained and voiced thousands of voice-overs for more than 30 years, and as a casting director and producer has produced commercials (McDonald's, SPRINT, State Farm, IBM, Chase and many more), plus corporate narration, TV, film, animation, web and new media for scores of national and regional brands. She is also author of The SOUND ADVICE Encyclopedia of Voice-Over & The Business of Being A Working Talent, soon to be in it's 4th edition. 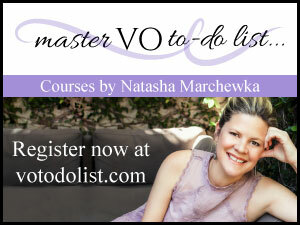 She written seven additional books on acting, voice-over and how to forward a career. I'm just getting started, trying to absorb as much practical, professional advise as I can swallow. It seems a bit overwhelming with so much to get right as I uncover and discover the business of doing this business. I'm looking for a coach or coaches. Like you say, supportive, constructive, challenging. A coach that can help me establish a healthy routine that conditions agility (this I'm keen on!). Work on producing a demo. Already have the recording setup. Only then can I justify seeking representation. It's the self promotion that I really need to formulate successfully. And my internet skills and savvy are not up to VO industry standards, so these are likely going to be my greatest challenges.